Arizona is known as the home of one of America’s most impressive national parks, Grand Canyon National Park. It is based on this fact that Arizona adopted the nickname “The Grand Canyon State”. It is also home to the well know “Petrified Forest”, which made it sensible to adopt Petrified Wood as the state fossil. Based on popular opinion, the most commonly owned dog breed in the state is the Chihuahua, perhaps because of it’s small size and good adaptability to a variety of climates. Arizona is also known for being the home of former republican presidential candidate John McCain. The capitol of the State is Phoenix, and has been since 1899. The state was home to German POW camps during World War 2, adding to the states historic significance. Perhaps the most interesting historical fact about Arizona is the way that is became part of today’s United States. During the Mexican-American War of 1847, the U.S. captured Mexico City and staked a claim to much of northern Mexico, part of which became Arizona. The Treaty of Guadalupe Hidalgo stated that the U.S. would pay the sum of $15 million to the Republic of Mexico as compensation for the land. The land was recognized as the Territory of New Mexico, until it was later split into New Mexico and Arizona. Arizona achieved statehood as the 48th state on February 14, 1912. The state has a primarily dry climate, with most of the lower elevations being desert like. Arizona experiences a monsoon season towards the end of each summer which can cause dangerous flash flooding. Arizona was definitely part of the wild west, it was a difficult task to reach Arizona by land until the Southern Pacific Railroad reached the state in 1926.Given the concentration of the Native American Apache’s in this area, some of the most famous Native Americans in history came from Arizona. Geronimo and Cochise were two well known Apache chiefs that make prime examples. Given Arizona’s desert climate, it has an abundant fauna population that fit those conditions. There are 11 species of rattlesnake that inhabit the state, the most well known being the Ridge-Nosed Rattler. The state bird is the Cactus Wren and has been since 1931. The Apache Trout, found in the cold water streams of Arizona’s White Mountain range, can only be found here. The Ring-Tail is a small carnivorous mammal that inhabits the Arizona deserts, and was named the state mammal in 1986. Arizona was once a rich mining state, and even now is the nations top producer of copper. It is also the largest producer of Turquoise, which is used in many Native American crafts, and makes beautiful jewelry. Arizona is the sixth most extensive and 15th most populous state in the U.S. being home to over 6.5 million Americans. The state ranks 22nd in median household income at just over $50,000, just below the national median. The largest provider of jobs in the state remains the Arizona State government, while the private employment sector remains diverse. There is a relatively strong sports culture in the 48th American state, with Arizona State, the Diamondbacks MLB team, and the Cardinals NFL team being noteworthy. Greenfield Puppies was founded in 2000 and has been helping people find their ideal puppy ever since. We are a team of family oriented people who are driven to help people find a loving companion for the family. 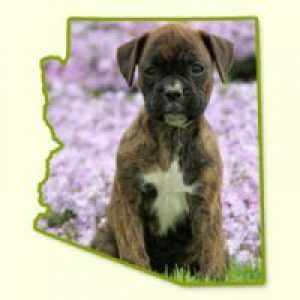 Take a look at our available puppies for sale in Arizona and contact us with any additional questions! Sorry, there are no available puppies in Arizona. 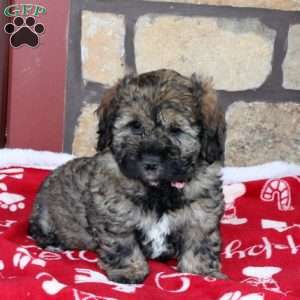 Welcome to Greenfield Puppies' Arizona Puppies for Sale page. 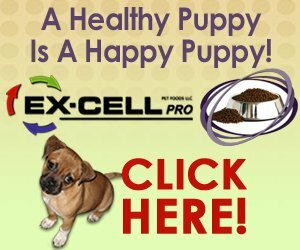 We offer services in the state for Dog Breeders and buyers alike. Puppy laws vary from state to state and it is important that you research what dog breed will best suit you as an owner. If you have any questions, please contact us at (717) 826-9054 today!